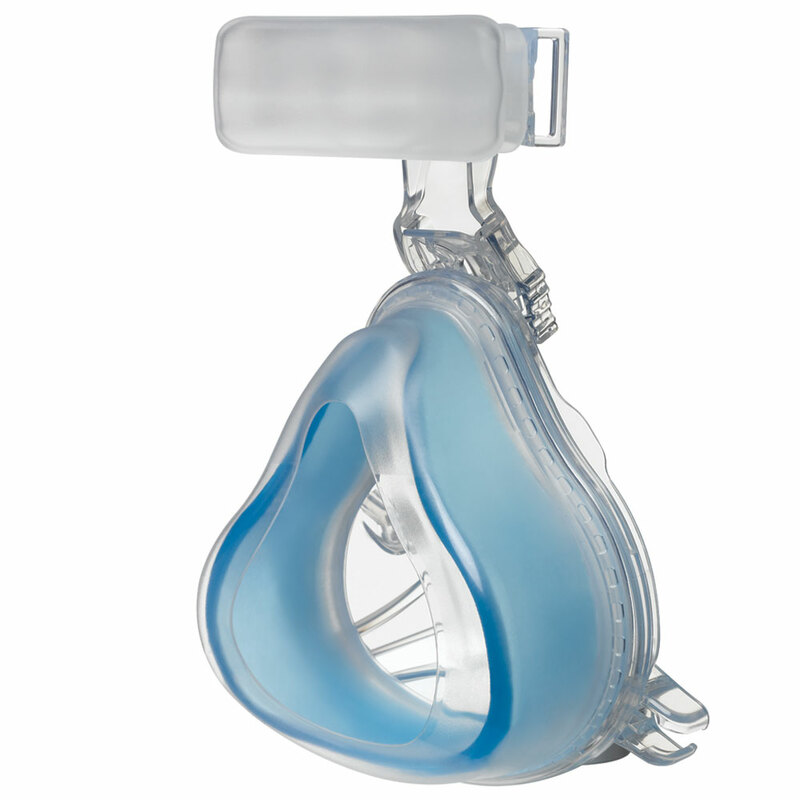 Based on the worldwide popularity of the Respironics ComfortGel Blue Nasal CPAP mask, Respironics has developed the innovative and practical Philips Respironics ComfortGel Blue Full Face CPAP mask, for CPAP users who require a full face mask to ensure maximum compliance. 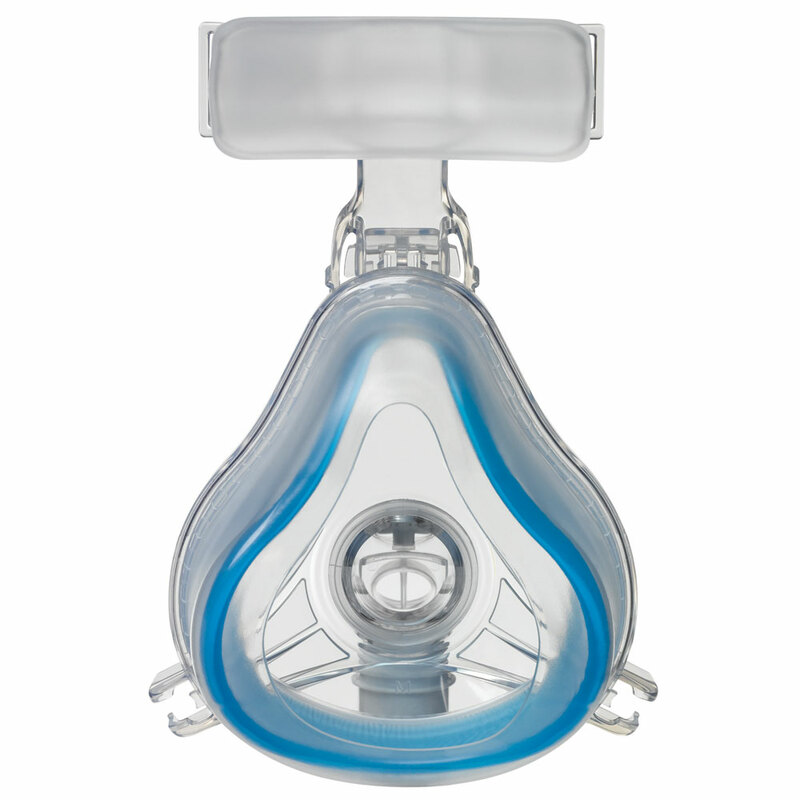 Featuring the highly popular Respironics blue gel, plus the advanced sure seal technology flap, the ComfortGel Blue Full Face CPAP mask is a first-class upgrade for patients who are searching for the perfect full face CPAP mask. The advanced design incorporates a replaceable blue gel cushion and silicone flap, combining the comfort of gel with the proven seal of an inflated cushion. With an all-new full face mask design and easy-to-clean pieces, the ComfortGel Blue Full Face CPAP mask makes sense for many full face CPAP users who cannot find comfort in their current mask choice. The adjustable forehead attachment allows adjustments to be made to decrease pressure points on a CPAP users face. 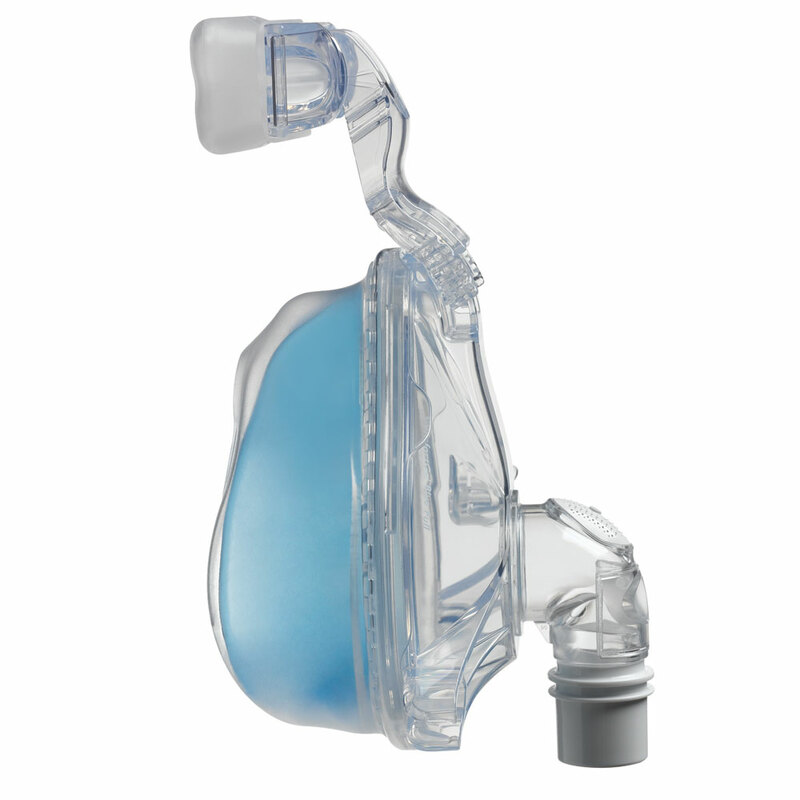 The Respironics ComfortGel Blue Full Face CPAP mask is an excellent choice for any mouth breather whether on CPAP or BiPAP therapy. This Full Face CPAP mask can be used with any manufactures CPAP or BiPAP machine. Easily obtained replacement parts ensures extended use, without having to purchase the entire CPAP mask.